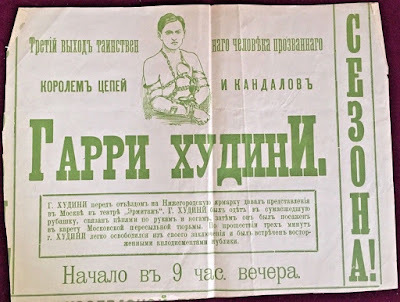 An advertisement for Houdini in Russia in 1903 sold on eBay today for $797.93. The seller writes that it was "obtained by my client from an LA collector of magic & Houdini memorabilia." 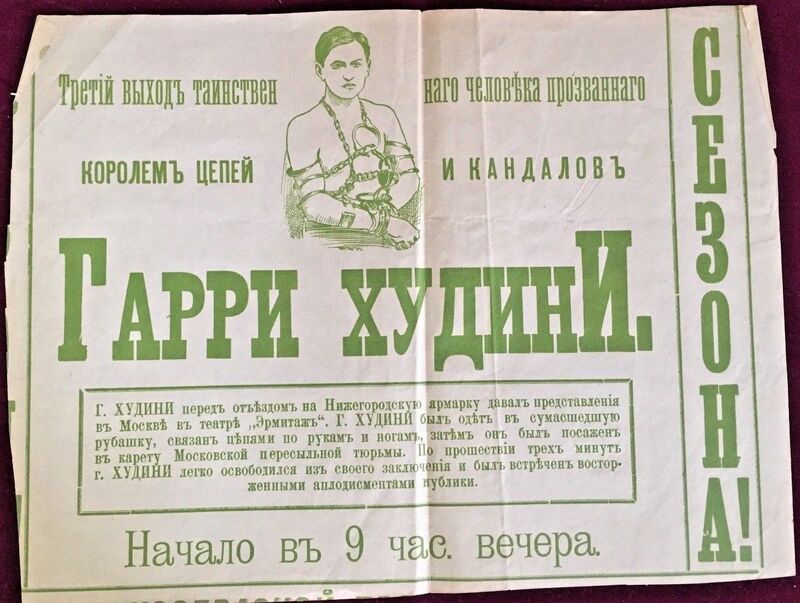 Artifacts from Houdini's one and only tour of Russia are exceedingly rare, but this is the second Russian advert to appear on eBay within a year. Thanks to Kevin Connolly at Conjuring History on Facebook for the alert.